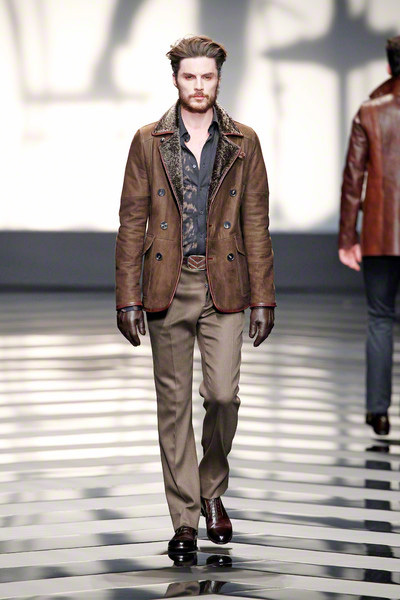 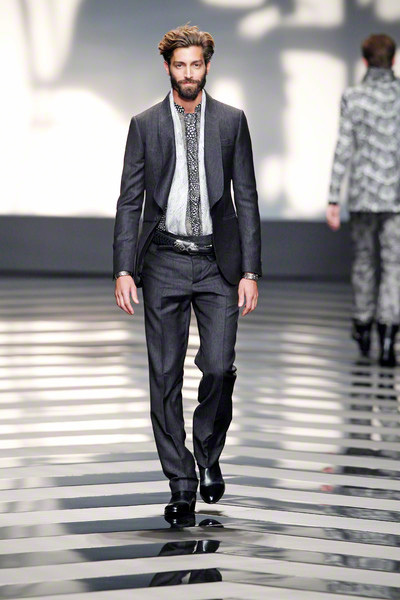 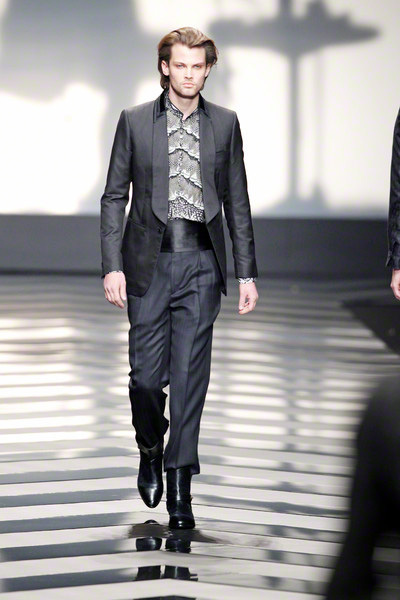 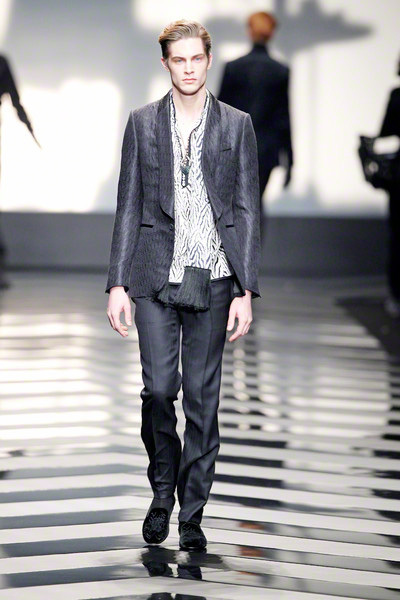 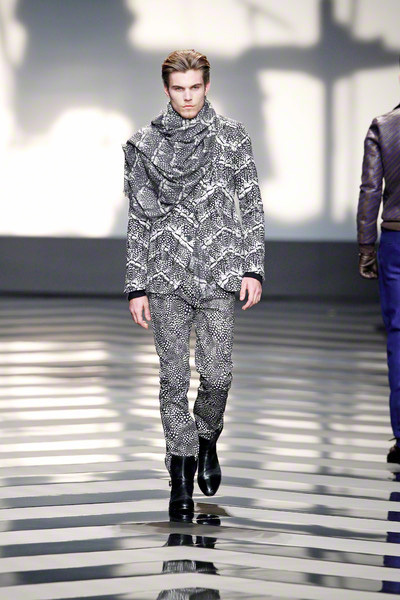 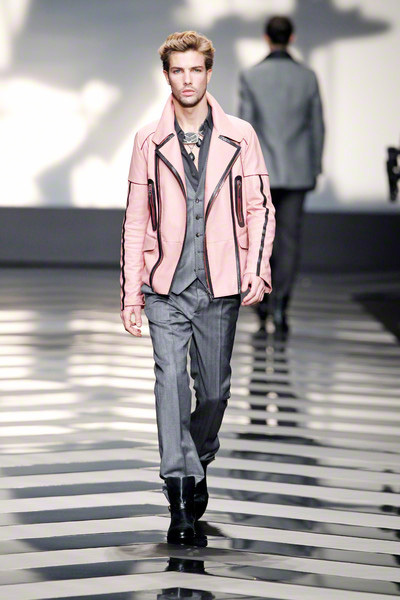 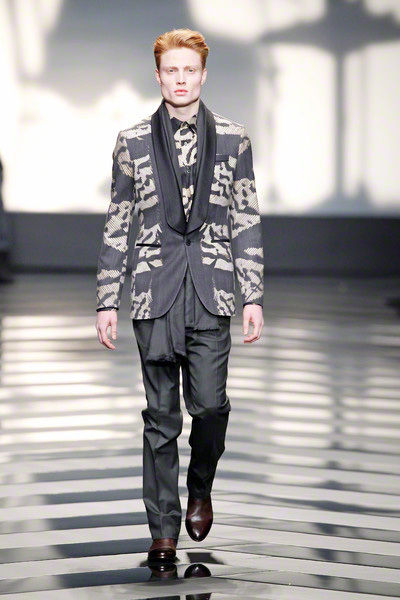 The tiger stripes, leopard spots and croc details (Cavalli’s signature animal details) were still all there. 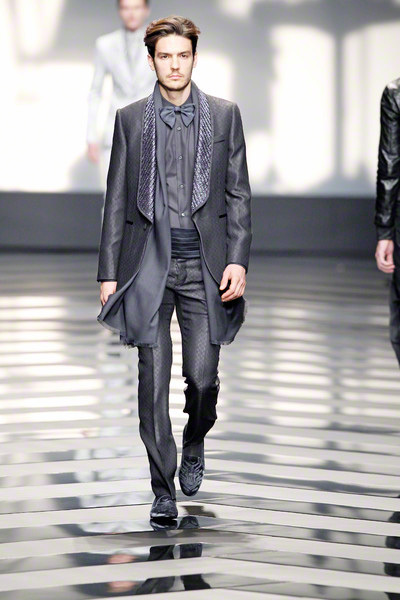 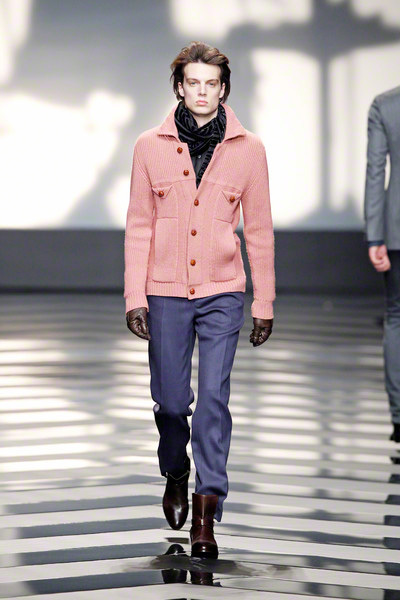 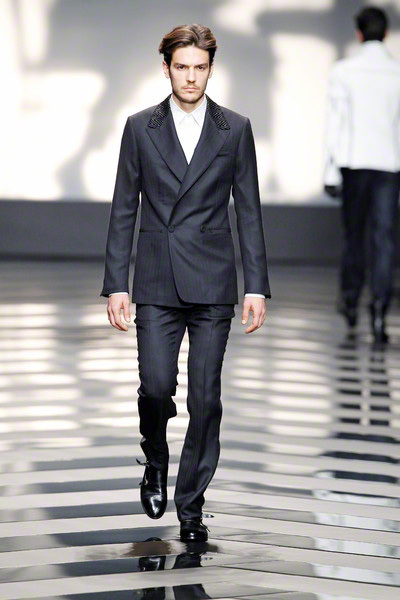 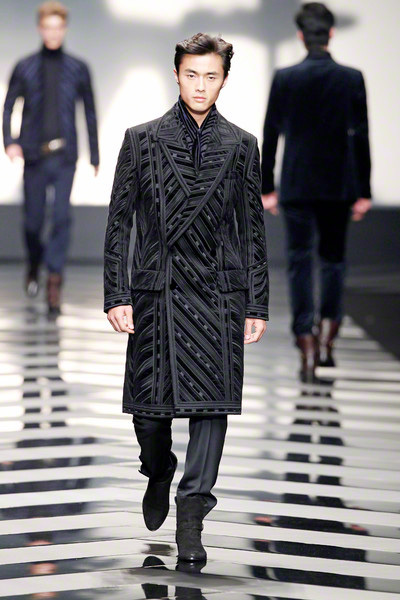 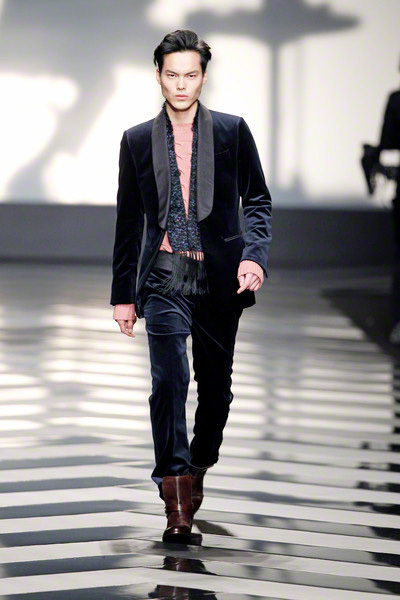 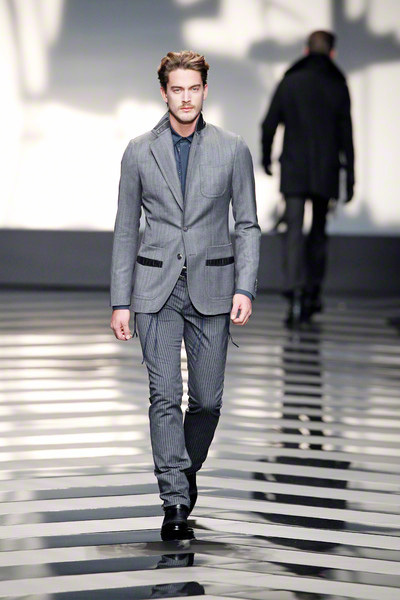 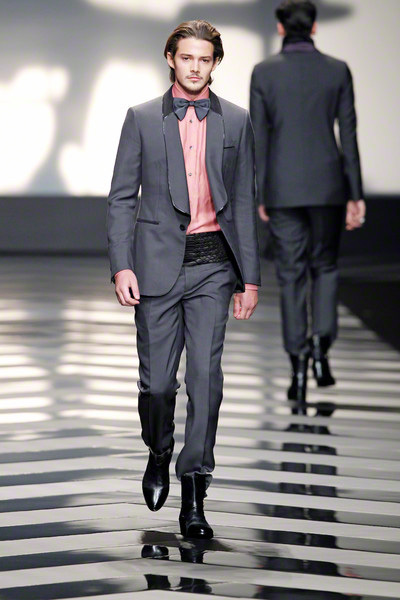 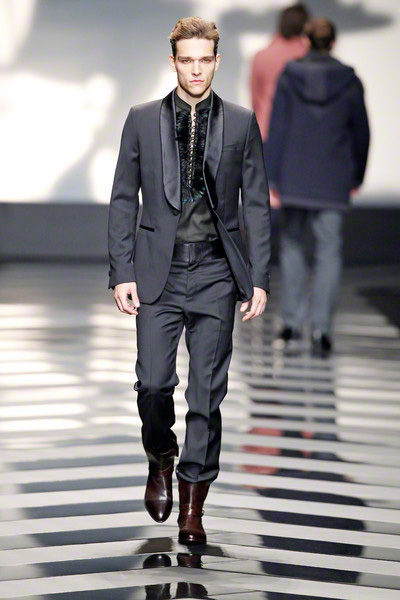 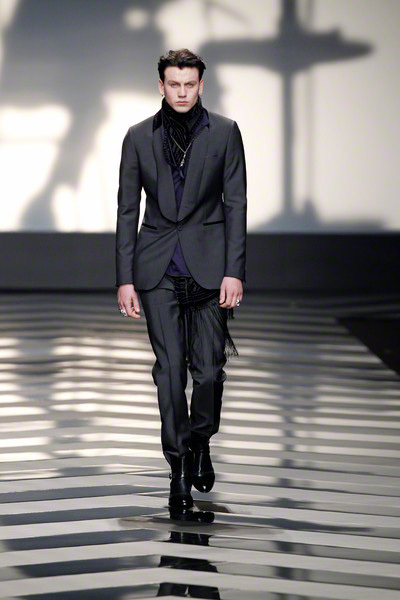 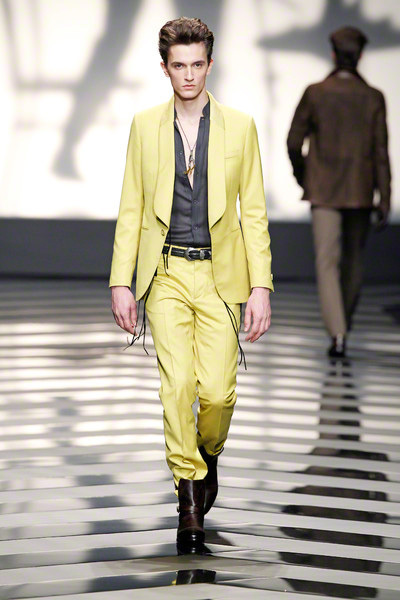 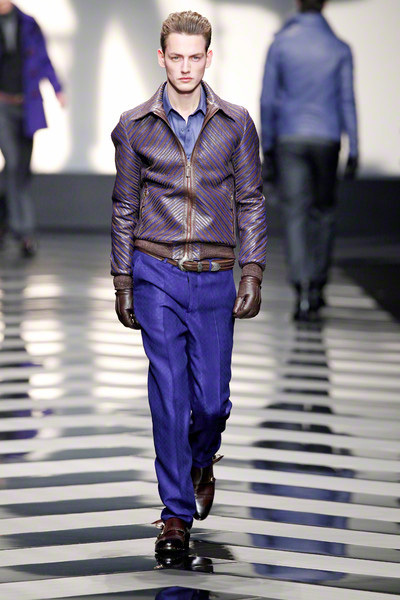 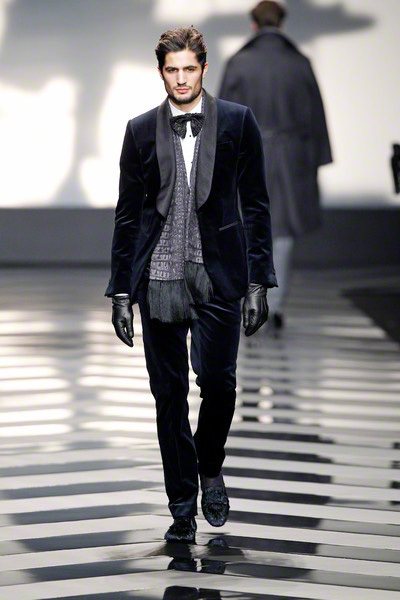 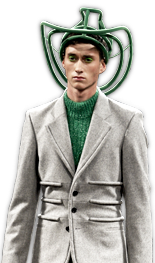 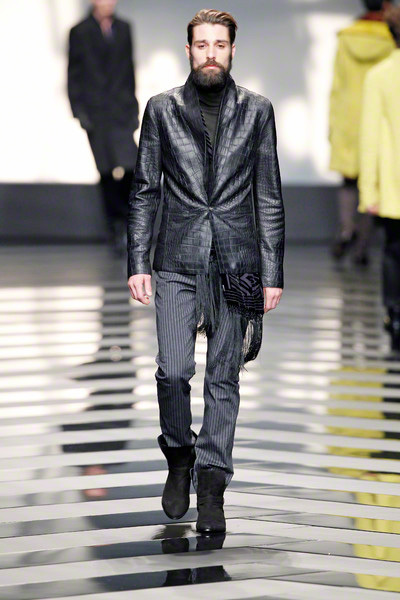 Yet Daniele Cavalli presented them in a more subtle way than Roberto would probably have done. 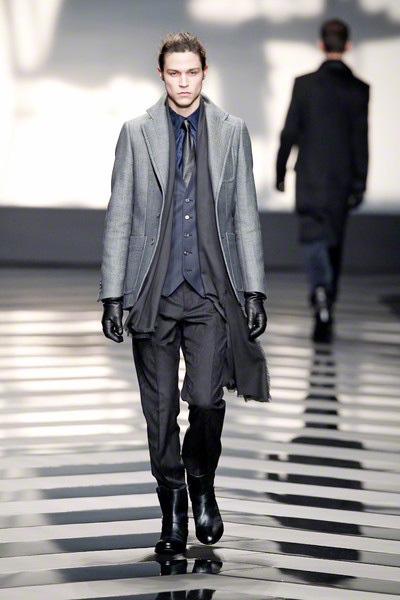 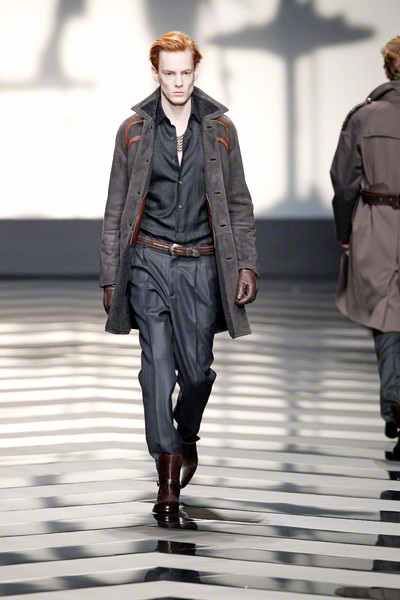 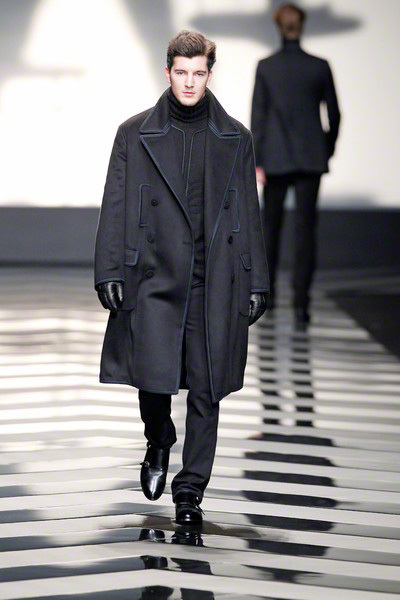 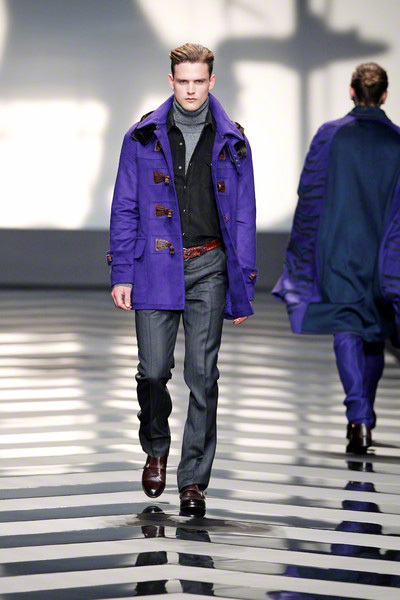 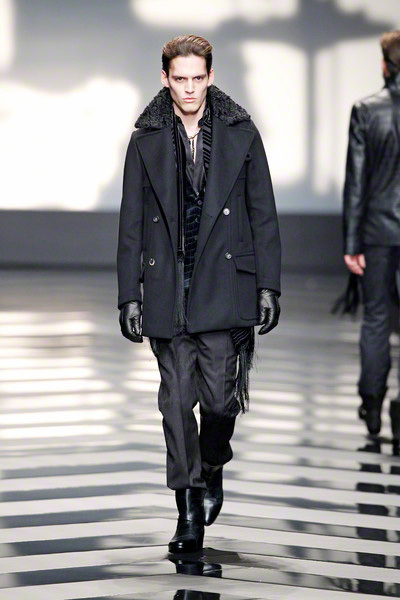 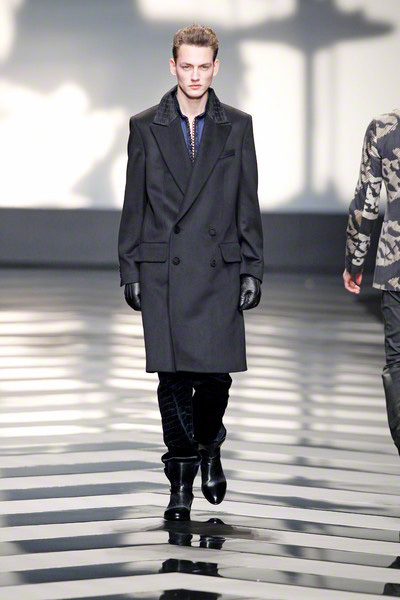 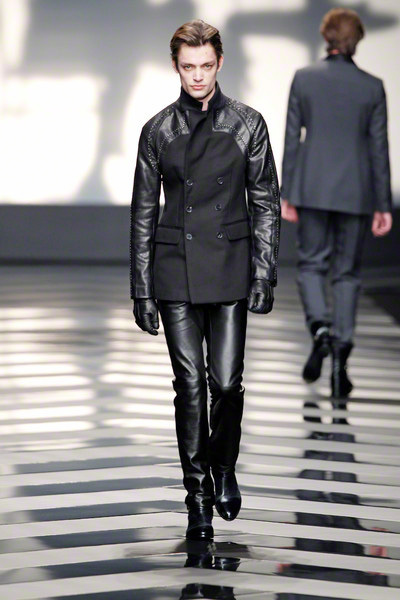 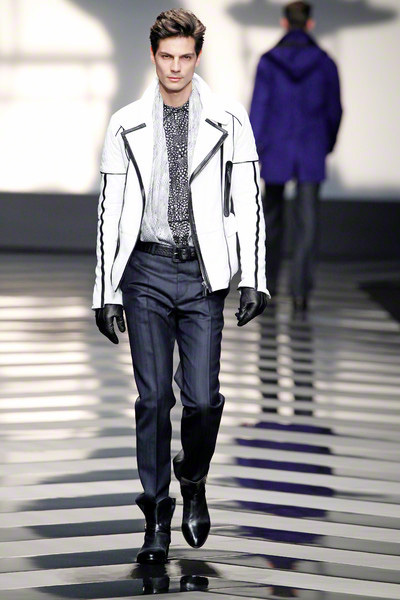 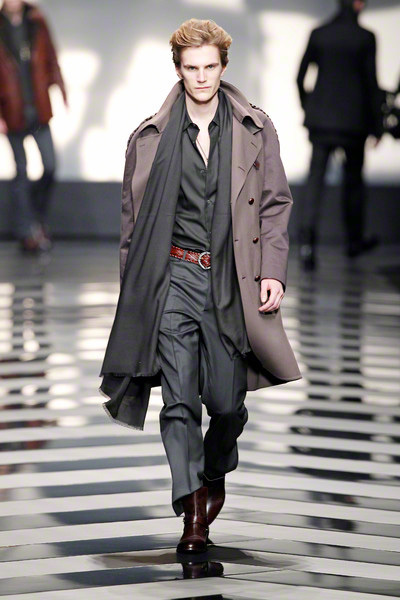 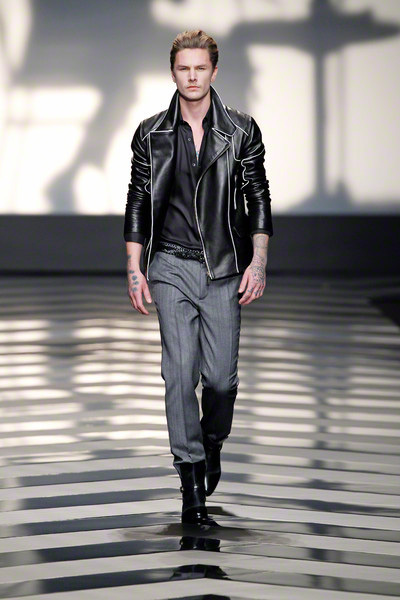 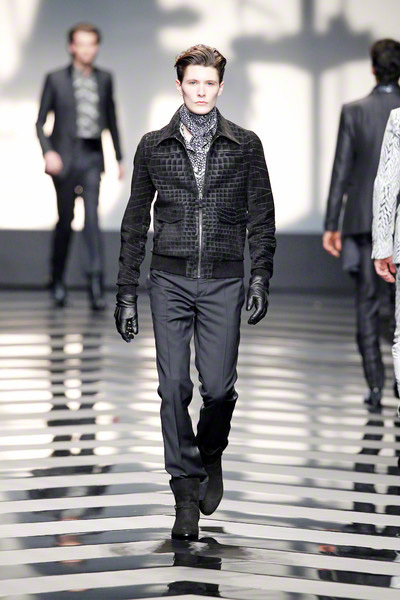 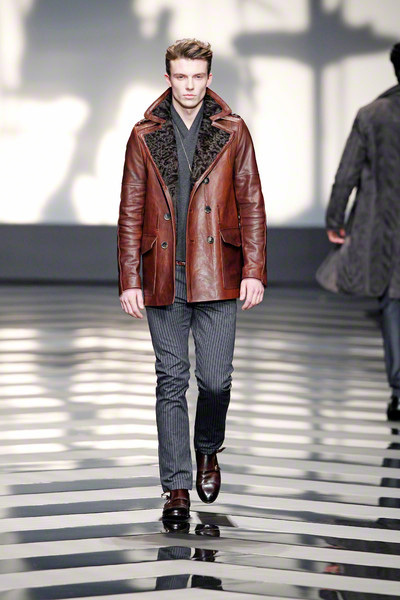 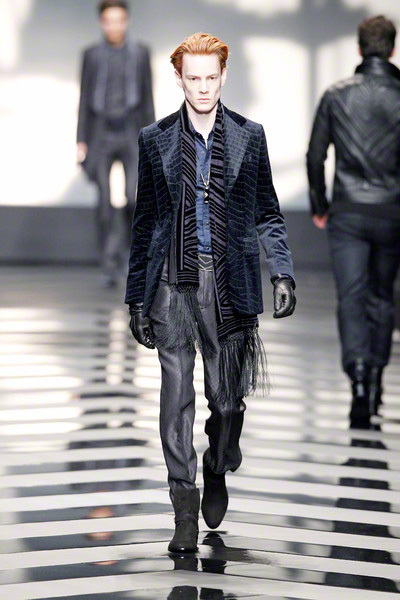 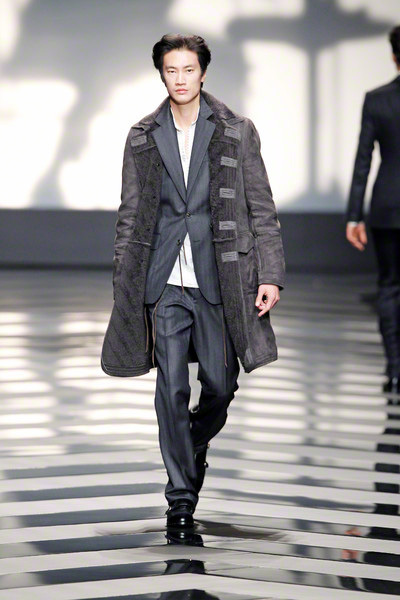 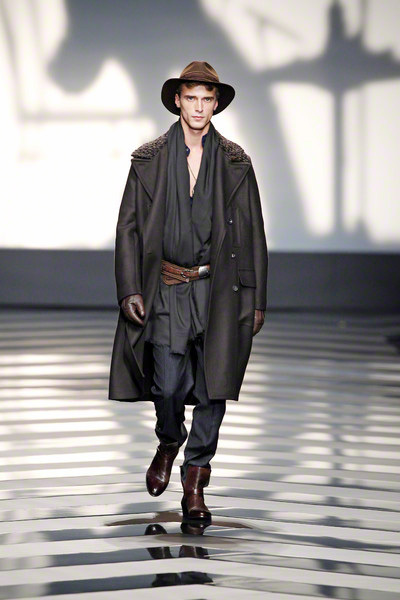 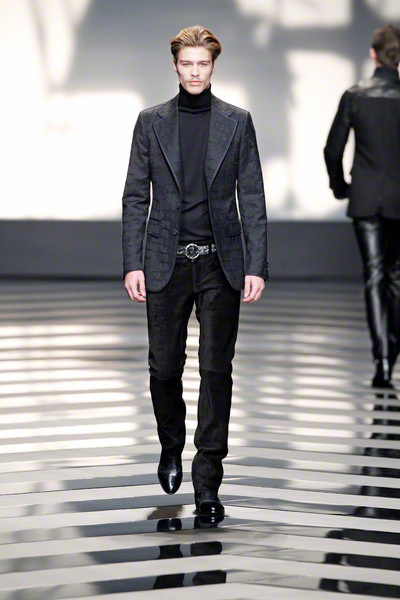 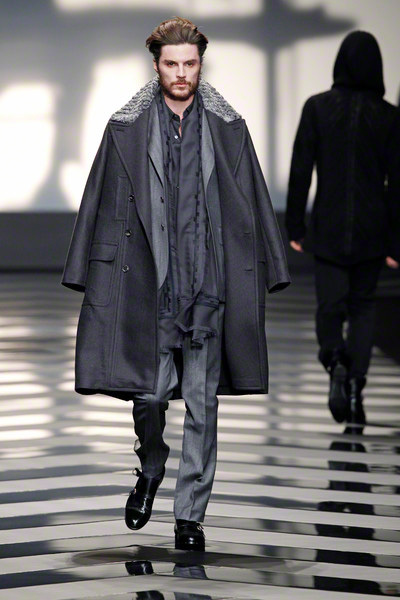 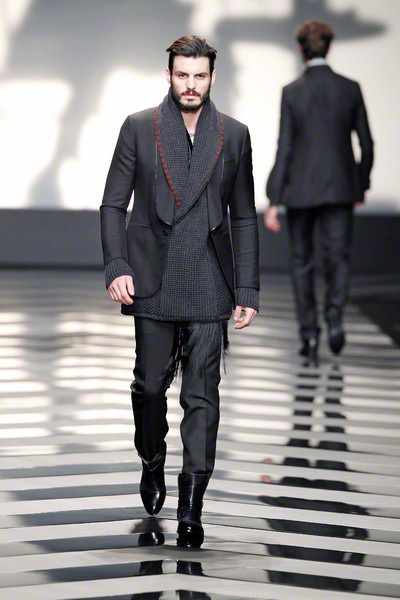 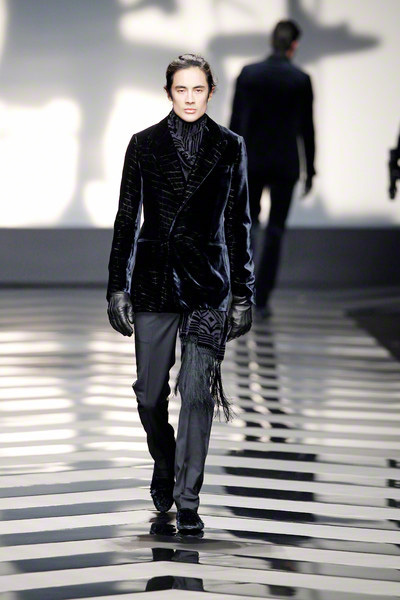 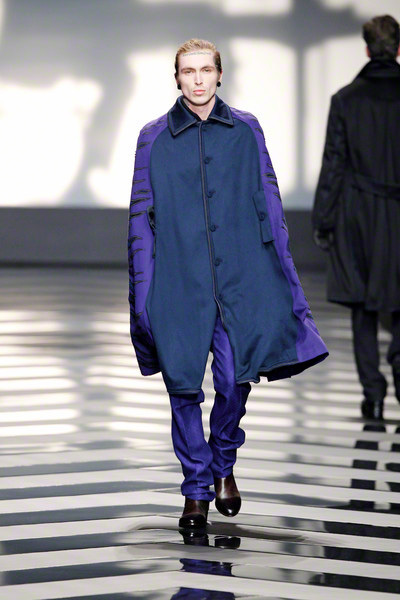 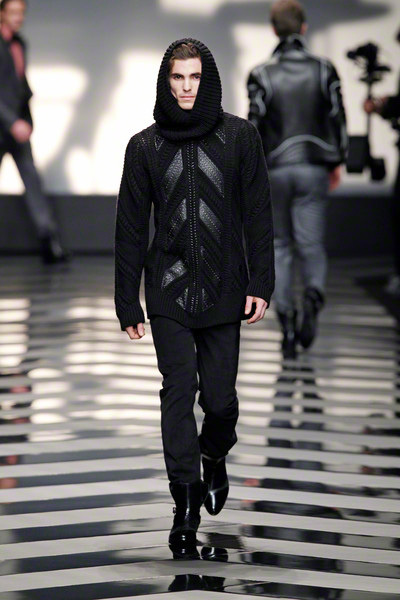 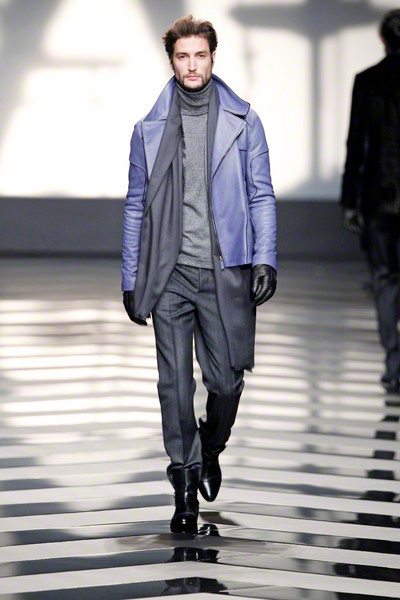 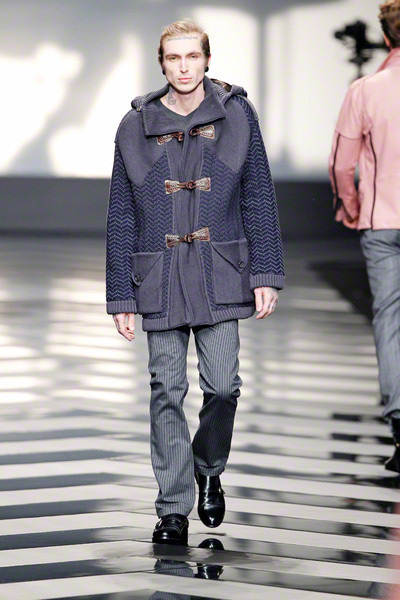 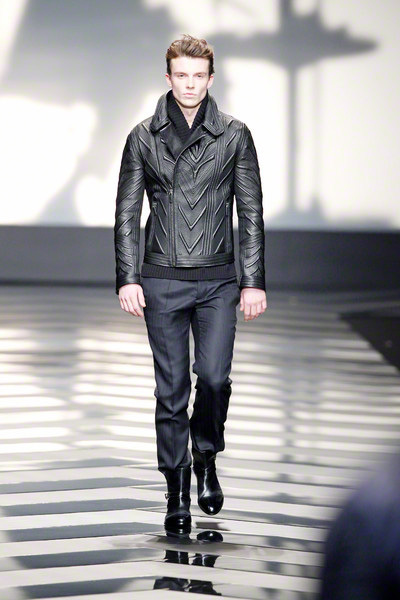 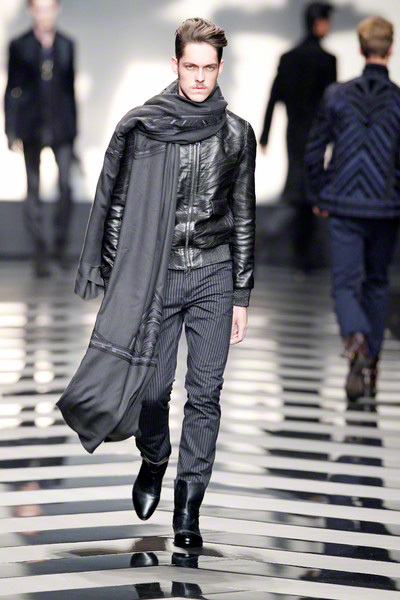 The boys walking the show looked tough in their leather jackets, statement coats and capes. 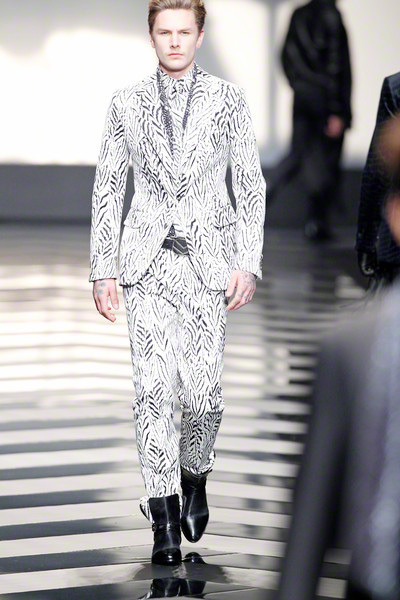 They rocked suit jackets with croc patterns, whole looks in feather print, tiger printed blouses and chevron patterned coats. 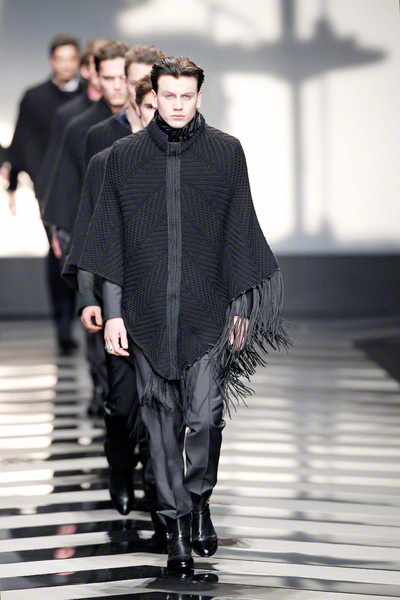 One of them even got away with wearing a poncho at the very end of the show. 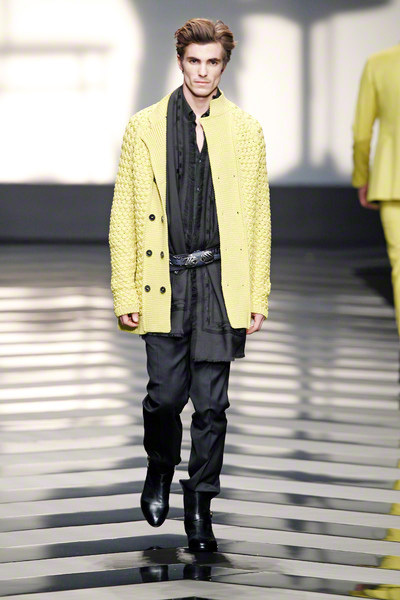 Besides the common grey and black, we see so much of every fall/winter collection, Daniele added a some looks in yellow, pink and blue/violet. 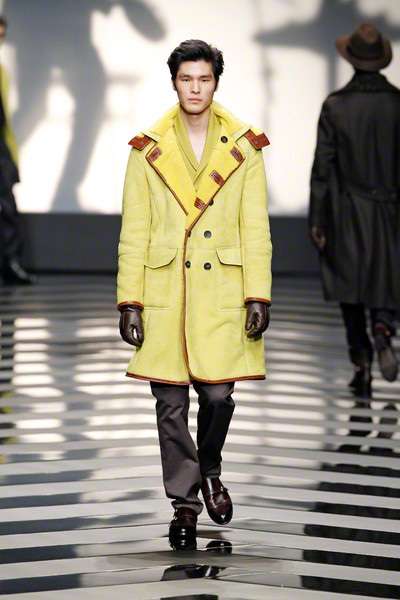 A nice cheerful touch to a collection, which was already a clear stand out.